I often hear folks say things like, "Why do bad things happen to good people?" or "Why do we exist?". While I tend to agree with the first statement, I do feel I somewhat have an understanding as to why they happen and why we are, I'm on about things I generally cannot wrap my head around; things that mystify or baffle me. Let's take airplanes for instance. I will never understand how airplanes fly. know I've mentioned this in previous posts several times, but it's NUTS, right? Planes are HUGE. They're heavy, they're made of metal and they carry tons of weight for crying out loud. Despite countless logical explanations and videos on it, I will never wrap my head around this. I will never understand technology and how it works. Like ever. Satellites bouncing signals off each other and back down to earth giving us things like wifi to talk to friends and family from all over the world via video chat? HOW? I will never fully understand the human body and it's inner workings. I find it incredibly mind blowing that we breathe or blink involuntarily unless we stop to think about it and even when we try to trick ourselves, we get distracted and it picks up where we left off. I will never understand the entertainment value in watching horror movies. Being scared, sometimes for days afterwards, isn't something I consider a good time. I will never understand the whole Ryan Gosling appeal. Sometimes I'd look at his photo for what seemed like days, hoping something would come to me, but never did. Sorry ladies. I just don't get it. I will never understand how words came to be. Like, who decided that 'carrot' should be the name of a vegetable and 'crap' should be considered an icky word? Why not the other way around? 'Dude, that's carrot!'. You know what else I don't understand? How someone can only eat one slice of cheesecake and be completely satiated - especially this cheesecake. It's completely legit, friends. 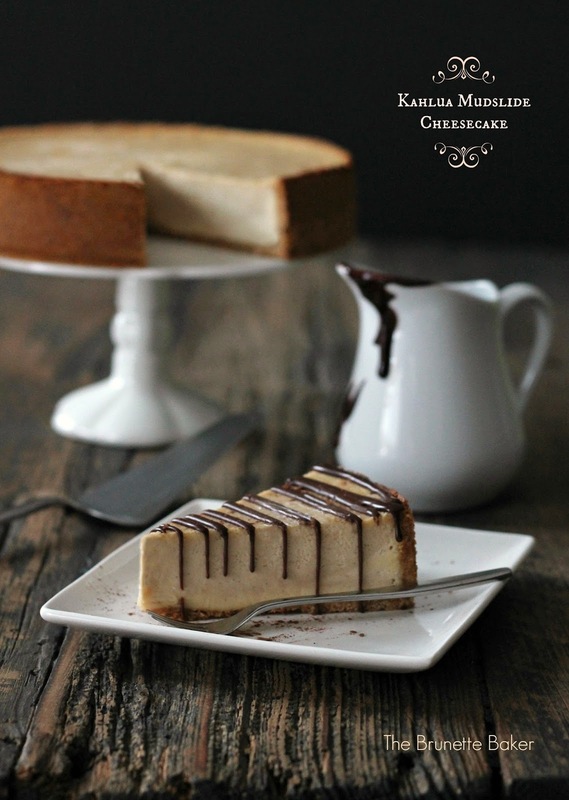 Even if you're not much of a drinker or don't like alcohol, you will devour this cheesecake. And enjoy every last drunken calorie. I promise. Preheat oven to 350ºF. Place a large, heat-safe bowl of water on the rack directly under where cheesecake will be placed. This will help prevent cracks on the top of your cheesecake while baking. In a mixing bowl, combine graham crackers, sugar, and butter together until incorporated. Press into a 9-inch springform pan, covering the sides and bottom. Bake for 8-10 minutes until golden brown. Remove from oven and set aside. In a separate mixing bowl, using an electric mixer, beat together creme cheese and sugar. Add in eggs, one at a time, until fully incorporated. Add vanilla. If you want to have a 'swirly' effect within your cheesecake, divide cheesecake mixture into two separate bowls; add Kahlua into one bowl and Bailey's and vodka into the other, mixing each until blended. Pour Bailey's mixture into prepared base and Kahlua over top. Using a skewer, create swirls. It's a pretty subtle effect, but you can see it when the cheesecake is sliced. Because I love Kahlua, I placed several dots of the liqueur straight up on top of cheesecake and ran a skewer over the top. It will create a stronger swirl effect. If you're not bothered about the effects, just add both liqueurs into cheesecake mixture and beat until blended. Pour into prepared crust. Bake cheesecake for 40 minutes. Turn off heat, crack door, and allow to bake for 10-15 minutes more. Remove from oven and allow to cool completely. 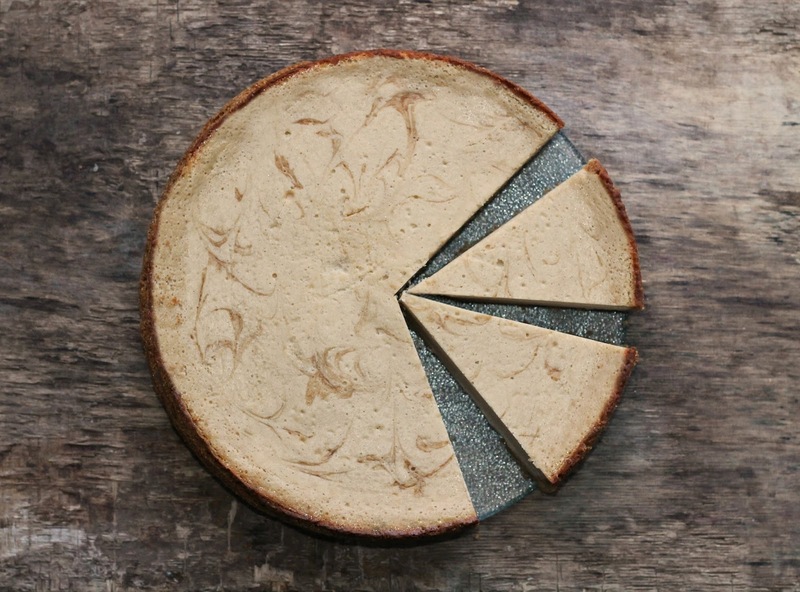 Cover cheesecake loosely and place in fridge to chill for several hours. Serve with whipped cream or Kahlua chocolate sauce. Jenny, I don't understand why this kahlua mudslide cheesecake isn't magically appearing in front of me. Whyyyyyyyy?! It looks insanely good! How in the heck did you get such perfect slices?! Mine are always messy and wonky (I guess it's cause I'm a bit messy and wonky). Great post, girl. I also don't understand rude people. It drives me nuts. The Husband always says that I'm going to give myself a stroke since I always let things get to me. I just can't help it. I was also raised to treat everyone with kindness and courtesy so rudeness ranks near the top of the list of things that make my head explode. Um, phones. How do they work? And record players? Cd players? DVDs!! How does stuff get on them? AND RADIOS! Me no understand. I'm getting all worked up and confused. I think I need some cheesecake. This looks insanely good! I'm definitely adding it to my list of cheesecakes to try. I agree with you about planes -- it really seems impossible to explain! And that cheesecake looks delicious -- just what I want to dig into right now and it's breakfast time! i hate horror movies too!!! good thing i still have that kahlua in the cupboard! I featured your recipe for this week's Tasty Tuesdays! I hope you'll stop by and link up again this week! It's a fantastic look cake, and I must say I'm intrigued! I can't find when to add the vodka in the directions. Am I overlooking it? When I prepare this, I usually put the vodka in with the Bailey's, although it certainly can be put in with the Kahlua as well. I do it this way so I don't forget to add it. I hope this helps! Wonderful recipe - wondering if using chocolate graham crackers with the vodka in the crust would be acceptable....I am going to try it :) Maybe cut the butter in half - it's for a beach vacation! im making this tonight and replacing the vodka with gran mariner to make a B-52 cheese cake.